Young Workers Businessman Crew Working With New Startup Project In Modern Loft Office. Left Hands Pen Holding Hands, Laptop, Analyze Plans. 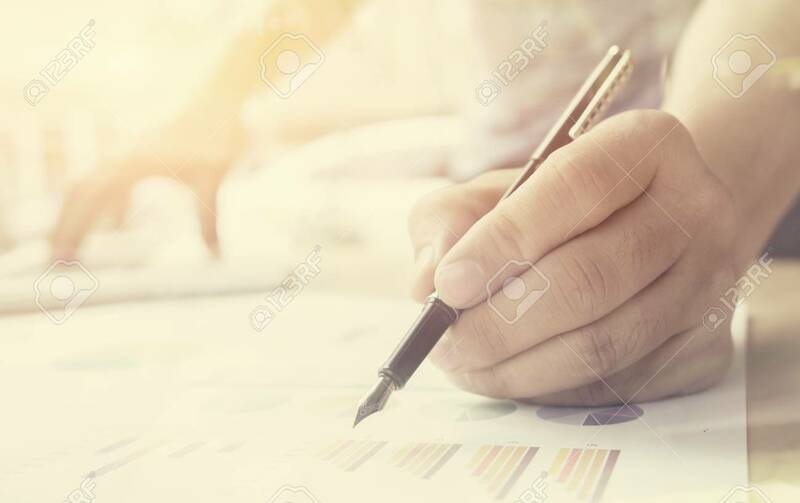 Pointing On Financial Charts, Paper Work , Vintage Color Banco De Imagens Royalty Free, Ilustrações, Imagens E Banco De Imagens.. Image 80699966.